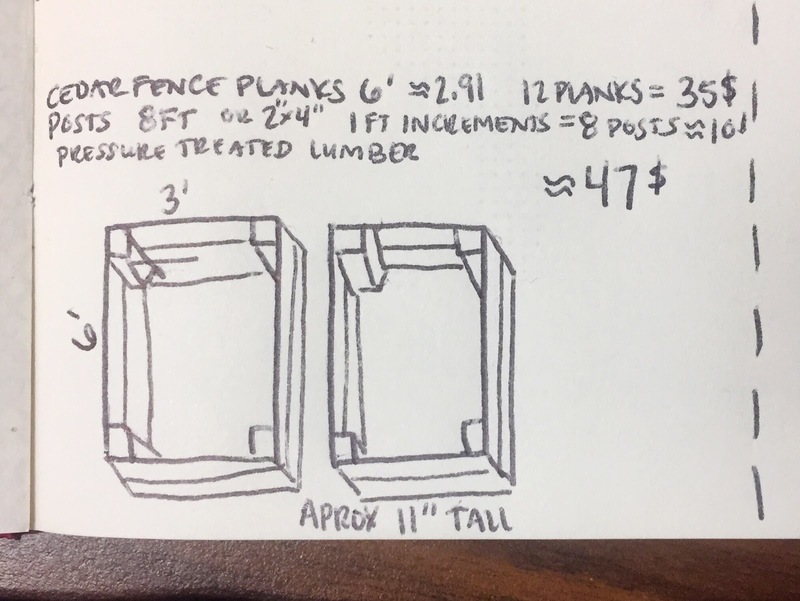 After last year's mediocre garden season, I've been doing a little more research and planning in regards to vegetable gardening. One thing I needed to work on was the timetable of when we plant since we waited until late May last year to get anything in the ground... so we started a lot earlier this year. Mid-March, we worked on germinating our kale, lettuce, bean, and tomato seeds. 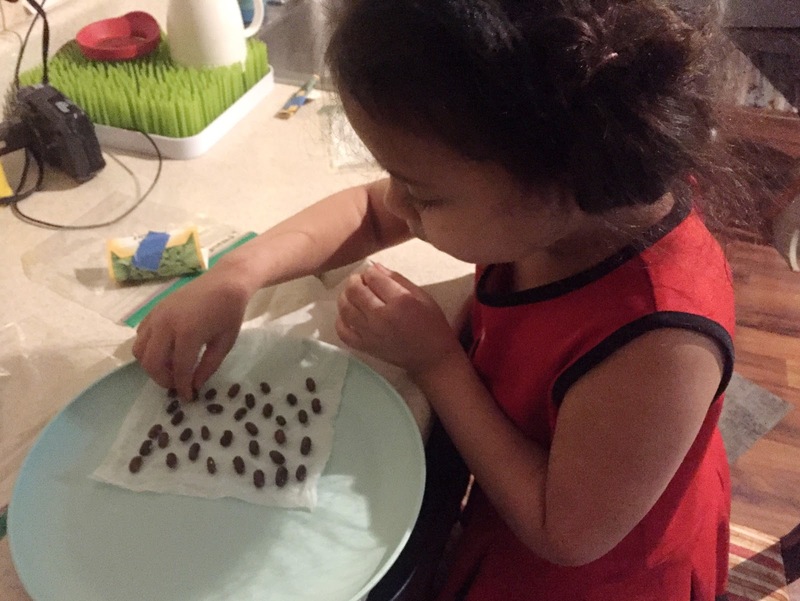 Cora sweetly sang her beans a goodnight song as she tucked them into their damp paper towel bed. 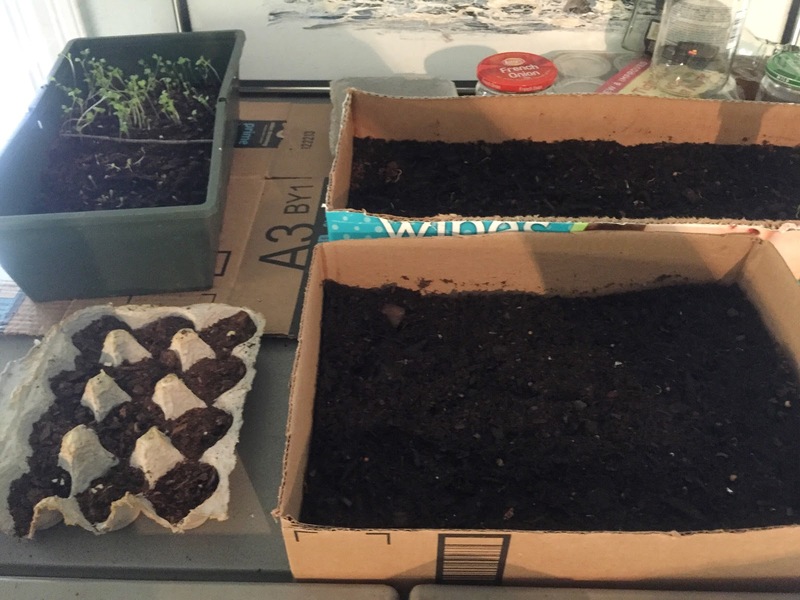 Once the kale and lettuce sprouted, we moved all the seeds to a shallow bin of soil. Just a couple days after putting them in the soil, we were already starting to see the plants poke through. Cora is so enthusiastic about each step in the process and cheered when we saw our little kale babies poking out. 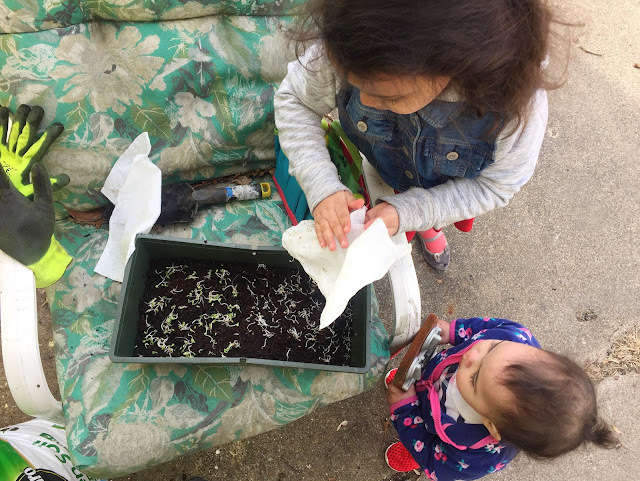 A couple days later (about a week after putting them in their paper towel beds), we planted a couple beans into egg cartons and kept a watchful eye on them. 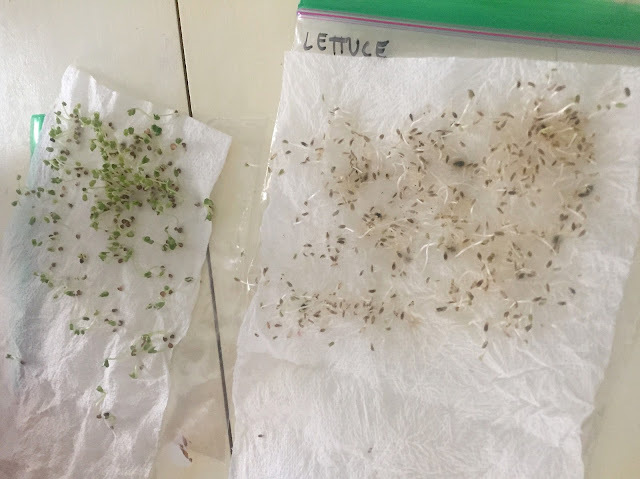 I have since learned those are best to start outside (see a great article about starting seeds indoors here), but we're more trial-and-error people so we'll see how it works out. 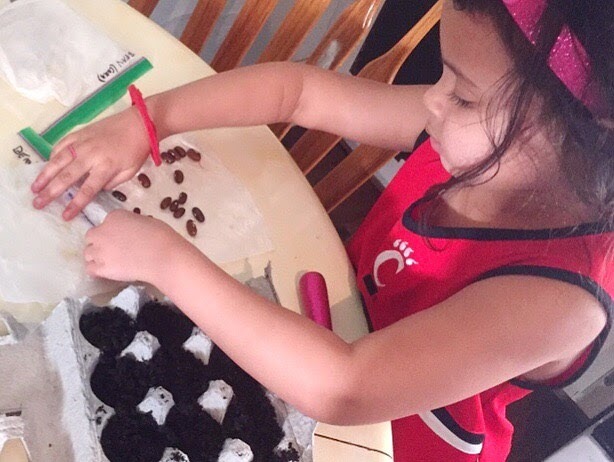 We don't have a lot of counter space and I didn't want to put all these bins of dirt on the dining room table (those little curious hands would make a huge mess), so I currently have our whole seed setup on top of our fridge. I just climb on a chair to water or check on them and can take one bin down at a time if Cora wants to check them out. She loves to see the progress and will often say something like "Oh my! That Kale is really growing!" 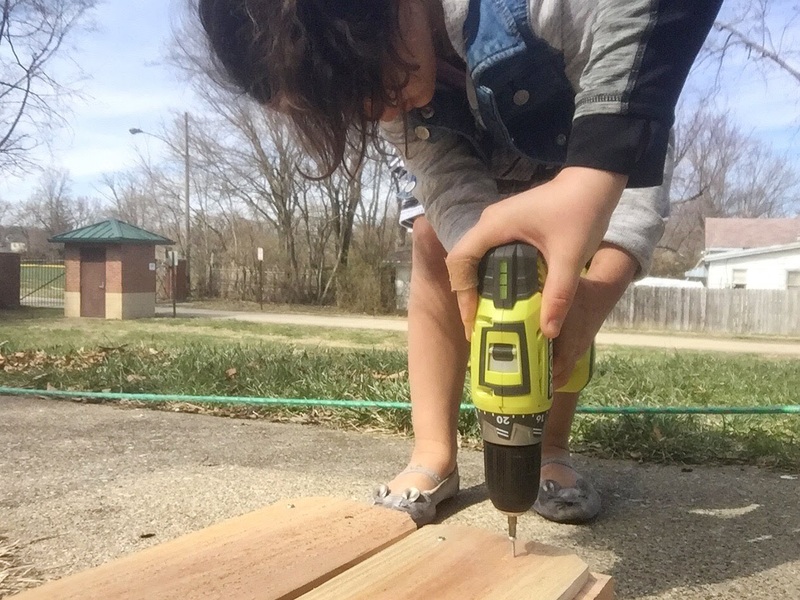 We decided that we should build real beds instead of using old scrap wood like we did last year. While we were starting the seeds indoors, I started working on tearing down the previous owners bed. There were a lot of bricks in that area grown over with grass, so the raised beds are necessary since I'm not really sure what all lies under the surface. I recovered as many bricks as possible so I can use them for a future project (small patio? potager garden paths? we shall see). 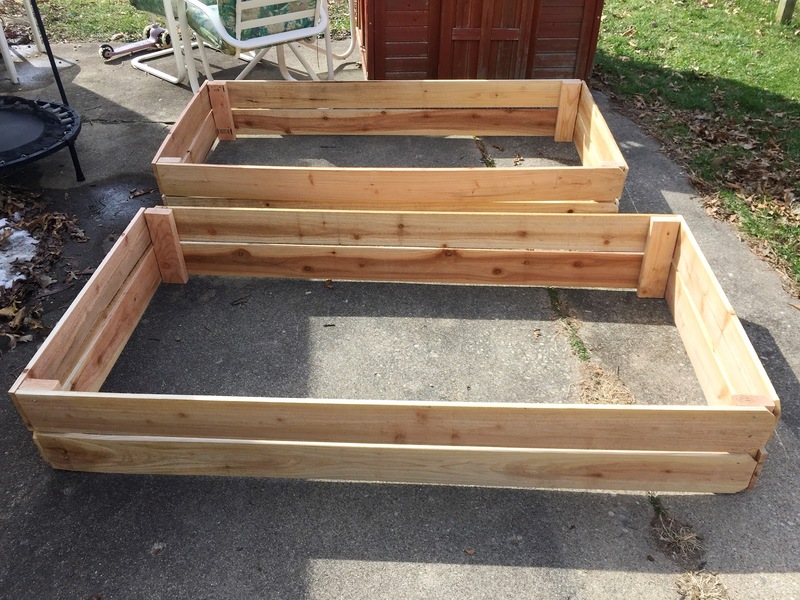 As far as building new beds, I'm starting with two raised beds about 3'x6' (a little longer than our old one) and we can add more in the future as we expand our garden. I purchased basic cedar fence planks (getting four cute in half for the shorter ends) and a 2"x4" cut in one foot increments. We simply screwed them together in a rectangle. 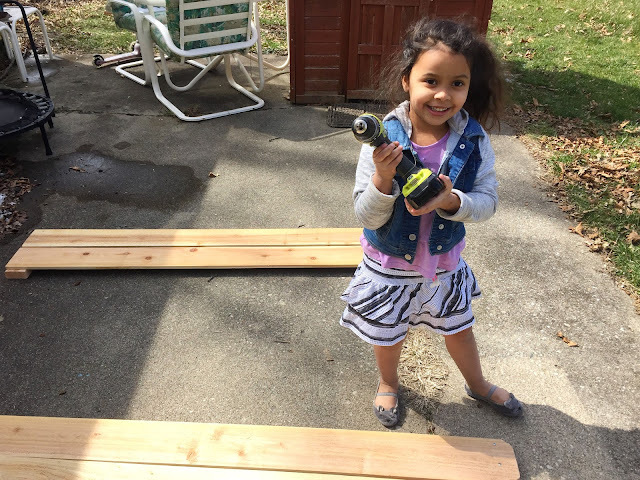 Cora loved helping out for a bit and cheering me on when she was over the helping part. It was hard to build by myself, but satisfying when it was completed. 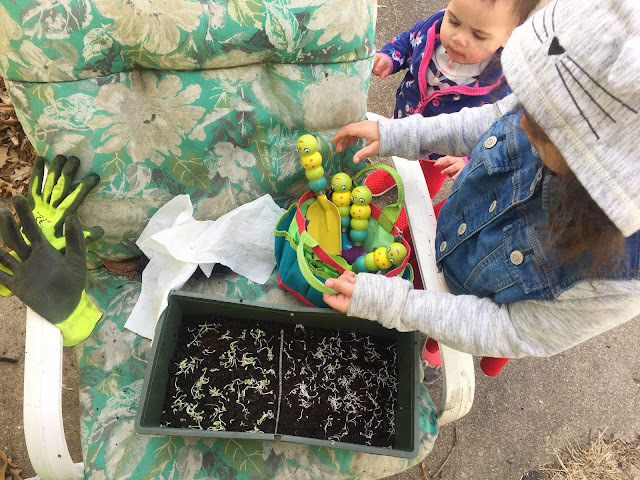 We're looking forward to get all the plants outside and really working on our backyard this spring/summer. I can't wait to enjoy our little slice of outdoors and make it a little bit nicer on the eyes.